Booth #7929 - The Factory of the Future Showcase, featuring Mechatronics@Work combines high-performance mechanical technologies and motion control systems with open, user-friendly programming environments to create the most accessible, easy-to-use Cartesian motion robots. Bosch Rexroth Group opened for business in the United States in 1967. Rexroth’s North American branch is headquartered in Charlotte, NC, but is a part of a larger, global network with more than 30,000 associates across the globe. Bosch Rexroth is a key provider of hydraulics, electric drives and controls, and linear motion and assembly technologies for the industrial sector. Drawing on its years of industry experience and expansive portfolio, Bosch Rexroth moves everything. Bosch Rexroth is bringing its latest automation technology, product demonstrations and expert advice to Automate 2019. 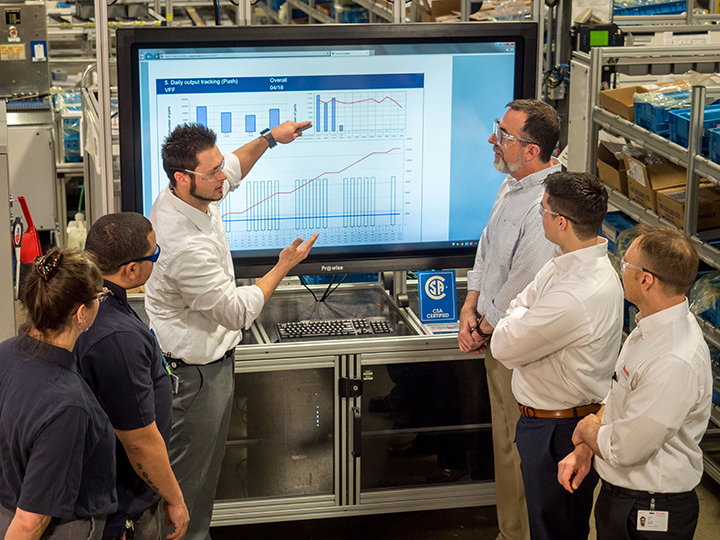 This show provides Bosch Rexroth the opportunity to give visitors a firsthand experience of its most recent automation advancements, as well as review technical questions with Rexroth experts. This year, Bosch Rexroth is excited to showcase multi-technology demos that show how visitors can put the Factory of the Future to work for them in their plants. Bosch Rexroth is excited to exhibit several demos showcasing the company’s Factory of the Future technologies. The Factory of the Future Showcase, featuring Mechatronics@Work combines high-performance mechanical technologies and motion control systems with open, user-friendly programming environments to create the most accessible, easy-to-use Cartesian motion robots. Using Rexroth motors, drives and controls, the Mechatronics@Work demo showcases how custom orders are produced inside a factory at the machine level. It can also collect and display machine and production data from various software platforms to produce custom product batches. The Smart Assembly 4.0 Conveyor demo is a multi-technology display promoting technologies from across Rexroth’s product portfolio. Our uniquely-designed aluminum structural framing and TS2 plus palletized assembly conveyor represent assembly technology offerings. CKK Compact Modules’ three combined linear axes create a Cartesian robot for automated assembly using components from Rexroth’s linear motion products. Our motor-integrated drive technology, Indradrive Mi, from our automation solutions gives the system a small footprint design. The entire system is controlled by a Rexroth XM22 PLC with a Safety PLC with Safe Torque Off and Safe Motion and incorporates an open PLC platform that can communicate in many different ways. The system has an on-board IoT Gateway that can display any parameter on the system as well as communicate with other devices and display their data. Rexroth’s smart ActiveAssist workstation and ActiveCockpit demonstrates how the Factory of the Future can benefit the employees. ActiveAssist offers intuitive worker guidance, allowing teams to easily visualize all information and complete complex work instructions while indicating errors and increasing quality and productivity. The ActiveCockpit is an interactive data visualization and communications platform that supports employees and management personnel with continuous process improvement. By allowing for real-time communication, ActiveCockpit enables fast response to deviations and increases productivity through collaboration and visualization. Automate has many educational sessions, forums and demos, is your company involved in any of them this year? Bosch Rexroth is not involved in any education sessions, forums and demos this year. The factory floor is undertaking rapid advancements, be it automation, robotics, machine vision or data. Automation technology is a huge part for many manufacturers. Give us an idea on how your company and product is being utilized now in smart factory. Increased productivity with reduced downtime, data transparency, previously-untapped levels of customization, improved safety capabilities – these characteristics define the Factory of the Future for many. Regardless of what you need to make the Factory of the Future a present reality in your plant, Bosch Rexroth’s i4.0-ready technologies are up for the task. Our proven portfolio of drives, controls, linear modules, conveyors and mechatronics technology, combined with extensive industry application expertise, makes Bosch Rexroth the ideal partner for smart factory applications. At Automate 2019, Bosch Rexroth is going beyond simply spinning motors or waving sensors to demonstrate the Internet of things and Factory of the Future capabilities. 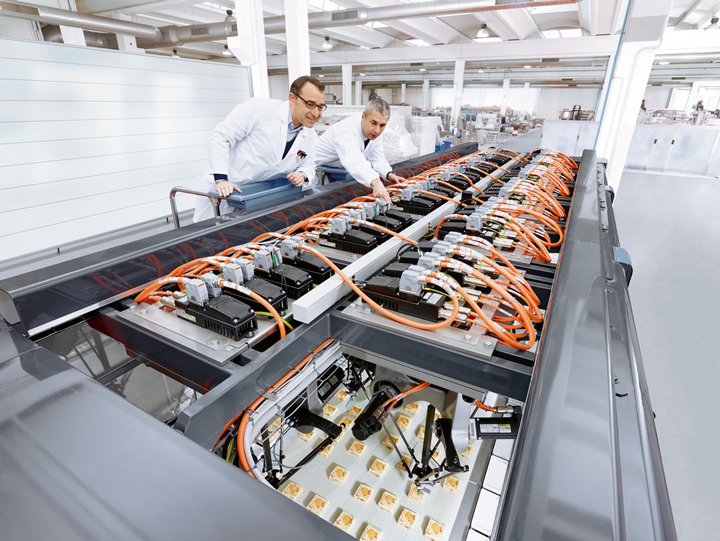 Bosch Rexroth showcases how to achieve the maximum flexibility, connectivity, and scalability the Factory of the Future can bring with its expansive portfolio of IoT-compatible technologies. Our exhibits highlight the latest in connected automation and IIoT, including the ActiveAssist assembly assistance system; a multi-axis Cartesian robotics demo with Rexroth’s award-winning Open Core Engineering, which connects the worlds of IT and automation; TS plus and VarioFlow plus conveyor systems; the latest Rexroth intelligent Motion Controls; motor-integrated concept, IndraDrive Mi to decrease the footprint of machines thanks to reduced components; safety solutions; Rexroth’s IoT Gateway Rack, which connects shopfloor equipment to the IoT; and ActiveCockpit system for production floor data visualization. Bosch Rexroth is the one-stop partner for solutions in connected automation, everywhere in your plant. Bosch Rexroth – Now, Next, Beyond! The plant floor is increasingly becoming networked across the entire manufacturing enterprise. Newer technologies that are in development cycles now, like TSN and 5G, will allow for greater networking capabilities for even the smallest of devices. As these technologies mature, infrastructure grows and older machines are replaced by newer connected machines, data will become easier to collect and analyze. This opens up a wealth of information to feed to machine learning algorithms in order to help find more operational efficiency and improve manufacturing processes.